Betsson – Blood Suckers 2 Giveaway! Sink your fangs into the weekly giveaway! Win a VIP trip to Dracula’s Castle, Cash and Free Spins! It’s here – Blood Suckers II has awakened and is now available exclusively to Betsson. They celebrate the launch of this dark and alluring slot, featuring the young vampiress Amilia, with a tournament and top prizes in a huge giveaway. This includes a VIP trip for 2 to none other than Dracula’s hometown in Transylvania, Romania, weekly €3,500 in cash and a whopping 10,000 Free Spins, all given out every Thursday. Take this opportunity to hunt down vampiric treasures and be one of the first to get your hands on some dangerously good rewards. Exclusive for players from Norway, Sweden, Finland, Netherlands, Germany, Switzerland, Peru, Poland, Iceland or Brazil. 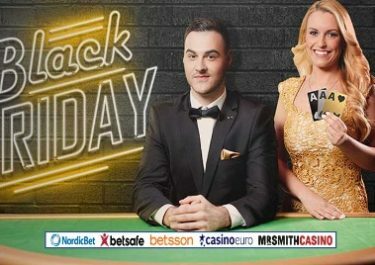 Take part in this awesome promotion at Betsson running on the exclusive Blood Suckers 2 slot from 2nd to 15th March 2017 in two weekly competitions with the TOP200 scorers sharing the prize pool. On top everyone wagering on the slot will receive an equal share of a secondary prize pool. Leader boards are updated daily except Saturdays and Sundays and will be reset to zero after week one is completed. Opt-in is required once by clicking the “Join Vampiric Giveaway” button on the promotion page. Each week has a separate prize pool with 1 VIP trip, €3,500 in cash and 10,000 Free Spins. These will be shared among the TOP200 scoring players from the leader board. Prizes are credited on 9th and 16th March 2017. A cash alternative for the 1st prize is available, although excluding the flight and transfer cost. 1st Prize: VIP trip for 2 to Transylvania, Romania, including flights, airport transfer from Bucharest to the hotel, 4 nights’ stay including breakfast in a suite at The House of Dracula, dinner at the Vino e Sapori restaurant, private day trip to Bran Castle, fine dining at the Belvedere restaurant, evening at Maxbet Casino, private tour of Vlad the Impaler’s Citadel ruins, Vidraru Lake and Curtea de Arges Monastery. Everyone wagering at least €10 during the 2 weeks, will receive an equal share of the €10,000 extra prize pool. The share size depends on the number of participants who met the wagering requirements. Prizes credited as cash on 16th March 2017. Launched in 2001, the casino is operated by the acclaimed BML Group Ltd. under MGA Malta and UK Gambling Commission licenses. 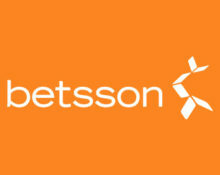 Betsson offers Sportsbook, Poker, Bingo, Scratch Cards, Games, Casino and Live Casino on desktop, mobile and tablet with games from acclaimed suppliers such as Netent, Big Time Gaming, ELK Studios, Jadestone, Microgaming, Nyx Interactive, ONgame, Play’n GO, Quickspin, Realistic Games, Red Tiger, Thunderkick, Williams Interactive, Yggdrasil as well as Evolution Gaming and NetEnt Live for their Live Casino tables.